Has been soundtracked by albums from Crybaby, The Maccabees, Friends, Wild Nothing, Mystery Jets, Mary Epworth, Beach House, Zulu Winter, Kindness, How To Dress Well, Hot Chip, Sharon Van Etten, Sleigh Bells, Polica, Toy, The Futureheads, Totally Enormous Extinct Dinosaurs, Grimes, Grizzly Bear, David Byrne & St. Vincent, Jessie Ware, Bat for Lashes and Perfume Genius. I wasn’t blown away by Alt-J (someone had to not be). I can count the amount of times I went to the cinema on one hand but adored all the films. The Hobbit, Avengers Assemble, Moonrise Kingdom. Most of all I loved Beasts of the Southern Wild and Searching for Sugar Man. It seems to be a year where I’ve mainly read David Sedaris. However, Anna Richardson’s Little Gods would be my book of the year. Stunning debut novel. After reading Virginia Woolf, A Room Of Ones Own I am determined to work my way through the rest of her books next year. The exhibitions this year have been the strongest since I’ve lived in London. From Charles Dickens writing desk at the London Museum to Grayson Perry at The British Museum. It’s been a year where I finally got to see Mystery Jets live, and at the Royal Festival Hall with someone who’s support has been unwavering this year. There’s been Gigs where I’ve been with my parents and created cherished memories, gigs of sitting in Hoxton basements and leaning over Heaven’s balcony. Drunk gigs, sober gigs, gigs that have moved me to tears or where I’ve come away with aching feet from dancing so much. Above all these things it’s mainly been all about London 2012 for me. I hope I am forever changed by the Olympics and Paralympics. It made me kinder, motivated, deliriously happy and proud to be British. Actually, proud to just be a human being. This Public Enemy song will forever serve as a reminder. 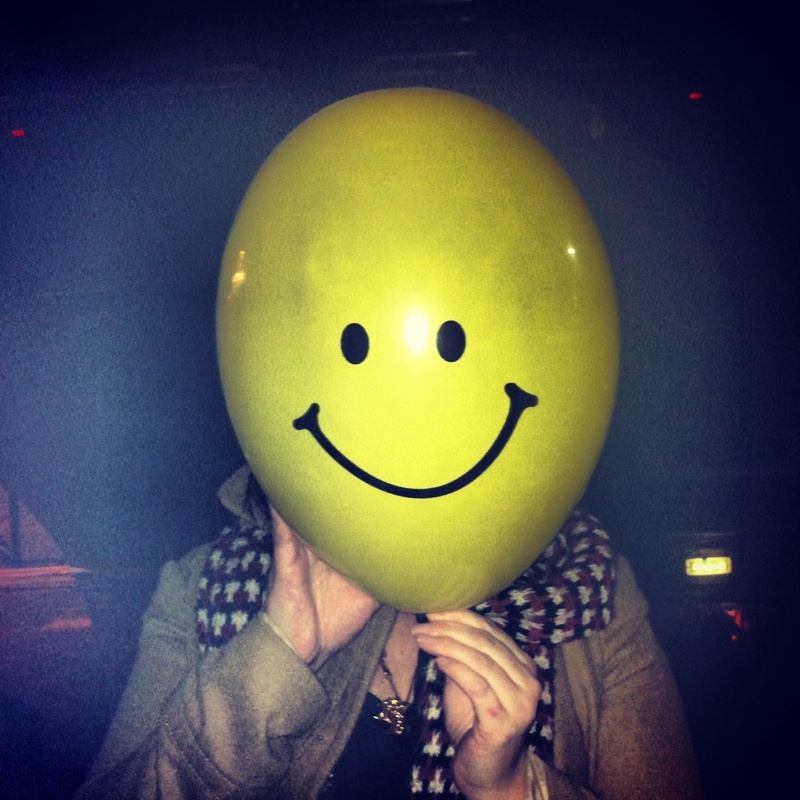 It’s been a year of pesky Tinnitus, goodbyes and job changes. It’s been a year where friendships have sprang out of the unlikeliest of places and where I will never underestimate the kindness of strangers. At times you have overwhelmed me with your support and general brilliance (I know some of you read this blog, most of you will never even know you made a difference). Of course there’s plenty of things I didn’t get round to in 2012. Like swimming round all of London Lido’s, having tea with Ian Hislop, learning how to ride a bike or shaking Robert Jay QC by the hand. It’s been a year where I’ve decided bravery is one of the most important qualities you can possess. A year of remembering I can breathe underwater. 2012. In equal measures I’m glad to see it gone and reluctant to let it go. NB: Huge thanks to Pete at Flush The Fashion for putting up with my contributions for another year. To Pub Diaries for letting me waffle on in a Q&A. The ever energetic and tireless Dan Thompson for printing my pop up shop piece. To Darren Hayman for letting me talk about my love of swimming and to The Guardian for printing my ‘Six Songs Of Me‘. To Tim for having me on Resonance Radio. And to everyone who reads this. Cheers. I’ve seen Kindness once already this year at Field Day. I went more nuts than I ever imagined I would, I adored his album World, You Need A Change Of Mind from the moment I heard it but I never imagined just how insanely energetic these songs would be live. Adam Bainbridge does not stop dancing, tonight decked in a gold lame shirt, baseball cap and skin tight jeans. He also throws in covers from Luniz, Womack & Womack, Anita Baker, Pointer Sisters, Aaliyah. As well as his own sampling of Trouble Funk and The Replacements. Shortly after Field Day a few changes happened in my life and when I was going through a bit of an emotional shut down my lovely friend Priyam sent me the link to his track House. Hearing it live tonight felt like an arrow to the heart. But a really bloody good arrow, like I’d been speared by those girls on Roxy Music’s Flesh and Blood album cover. A jolt to remind me I’m in a really good place right now, something Priyam was probably trying to make me see would happen. Kindness himself mentioned how he realised the true meaning of this song when he was singing it to the eight year old boy who appeared in the video. Also that in Berlin today a famous DJ was playing this to his bride on their wedding day as his promise to her. 1. 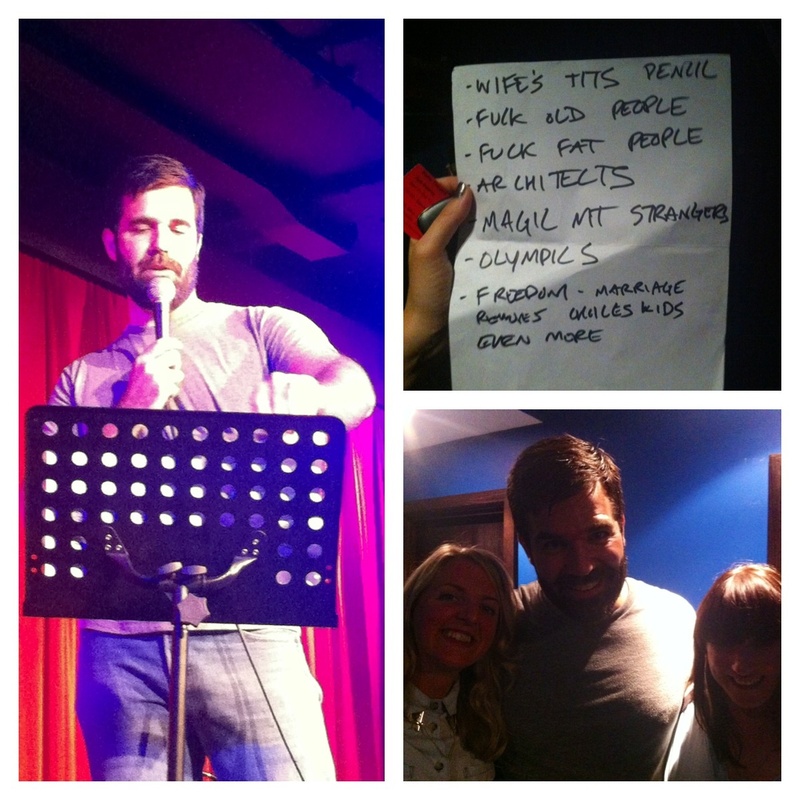 Still laughing a week later, every now and again something Rob Delaney said during his sold out shows at Soho Theatre makes me break out into grins and giggles. When he returns next year do go see him (I will be again). I have no words that will give him justice. He is hysterical, charming and I wish more comedians approached jokes about women they way he does. Bravo. A million times bravo. 2. I got to review the insanely amazing SBTRKT (pronounced Subtract for those that have been living in the stars or working on an underwater scientific base) for the equally brilliant Flush The Fashion this week. You can read my review here. 3. What I love about Natasha Khan, Bat for Lashes, is how artistic and stylised her music videos are, you can instantly feel that a lot of love and attention has gone into the production. Whether there’s a tinge of Donnie Darko as she cycles through deserted streets with animals in hoodies or the sadness of a drag queen prowling the stage. In All Your Gold she is resplendent in moody monochrome, moon snapping at her fingertips as the tides turn. 4. As 2012 draws to its close (and where have these days gone, too fast again my friends) the race for album of the year is on and Kindness has never left my top 5 since it’s release. This week, thanks to 6 Music Live I was reminded just how brilliant Adam Bainbridge and his band are. They were my stand out act at Field Day. You can watch this weeks session here. I guarantee it will bring you a world of joy. 5. I had a lovely Saturday morning in Soho, deeply involved in an exciting writing project. 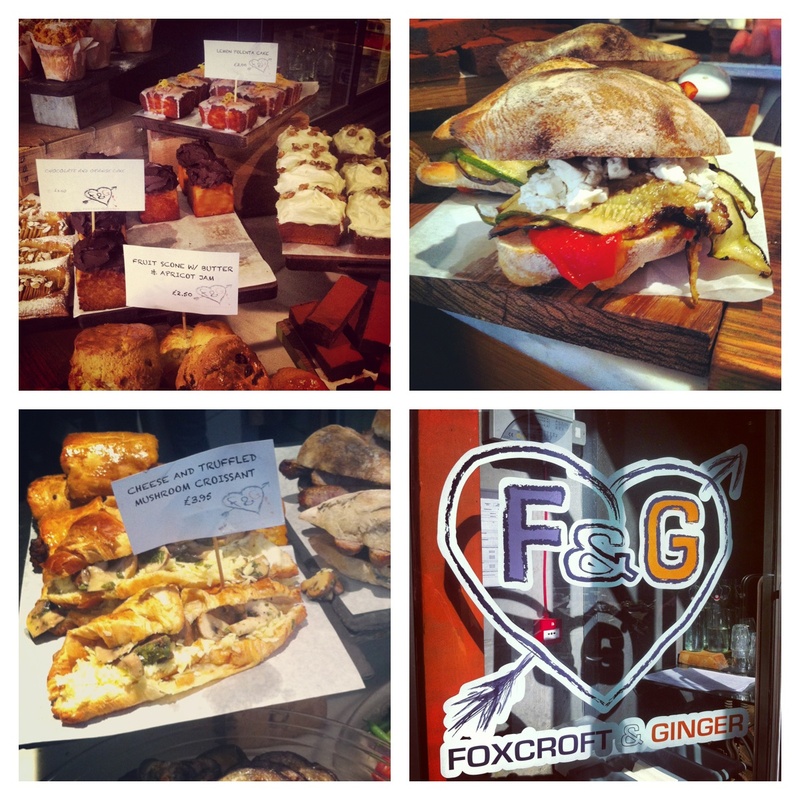 The scene was set in Foxcroft & Ginger. As my addiction to coffee grows (this is what happens when you cut down on alcohol) I shun chains and seek gems like this. A cheaper and higher quality cup of coffee served by warm and lively personalities. Food served ranges from cocoa rich brownies, dainty apricot pastries to chunky slabs of aubergine and doorstep oozing, dripping toasties. I also like that they sound like Roald Dahl characters. Find them on Berwick Street. 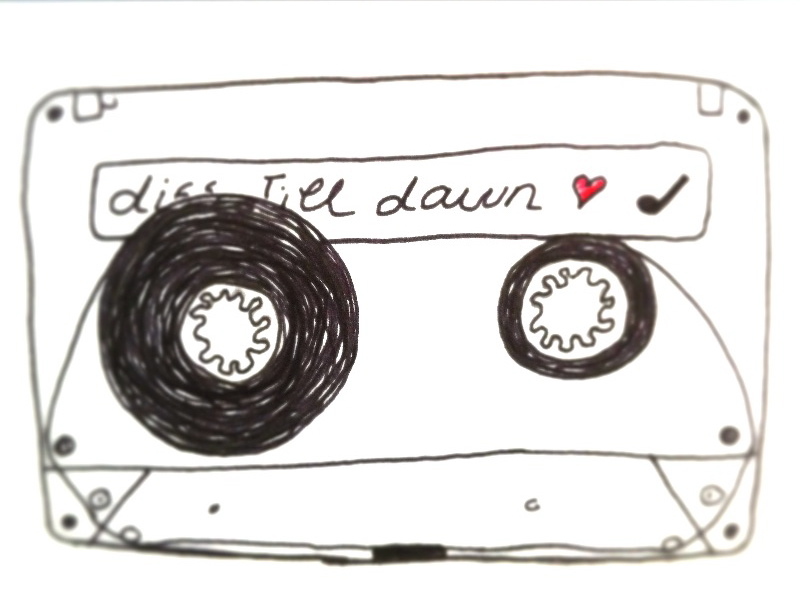 Last week I blogged a mixtape made up of twenty-five tracks that have rocked my socks at the halfway point of 2012. This is born out of Twitter discussions with Marc and he’s agreed to let me put his list up so here are his. I expect he’s sleeping off Latitude somewhere so this will potentially pass him by. There’s a smattering of similarities to mine but it feels like a very different mixtape given the tracks he picked in comparison. I can’t stop playing the Purity Ring track. *Not all the tracks were available on Spotify as he’s clearly too out there with some of the choices so for the full list YouTube is the best option.